A lot of investors think that retirement pension plans are the only way to go; and if they do not invest in these products today, then they will miss out on something. In this article let’s talk about pension products. Before I move ahead I would like to coin two terms used in Financial planning which are very easy to understand. Accumulation Phase : Accumulation Phase is that period of your life, where you invest regularly each month and “accumulate” the Wealth. You start getting pension later in life. So when you invest your money in ULIP’s, Mutual funds, Direct Stocks or anything else you are into accumulation phase. Distribution Phase : This phase refers to period when you start withdrawing money from your already accumulated wealth for consumption purpose. So at the time of your retirement or even before that, when you start taking out certain amount per month for next ‘N’ years, that’s called distribution phase. Let me start by taking about pension plans and their types. There are mainly two type of pension plans at broad level. Immediate Annuity Plans : These products are called immediate annuity plans because they start paying you the annuity right from day one once you make a lumpsum payment. So if a person wants a monthly pension and has huge lumpsum money, he can buy an immediate annuity plan and start getting pension. It’s a simple product which is not so much popular in India like deferred annuity plans. Some of the examples of immediate annuity plans are LIC Jeevan Akshay , ICICI Pru Immediate Annuity , HDFC Immediate Annuity . Let me tell you 4 strong reasons why you should avoid buying pension plans in India . The accumulation of your wealth happens in a pension plan for many years, but it’s not the best way your money can grow, ultimately if you had to invest your money in equity (underlying asset class), you have simple and no-cost options like mutual funds, index funds. Also you can choose to put money in real estate. A regular SIP in an equity diversified mutual funds should give much better returns then accumulation in a pension plan (read unit linked products). The core function of a pension plan is to give you pension. But do you know how much returns you will get out of your pension plans when time comes for retirement? A lot of pension products do not give a clear idea on how much will you get at the end. What is the return earned is around mere 4%? What will you do? The same is true for NPS. One major (I mean MAJOR) DRAWBACK is you have no clue what will happen once you finish the accumulation stage and go on to the withdrawal stage. Let us say you have accumulated Rs. 500 lakhs in a NPS account. They allow you to withdraw say 50% of the amount and the balance has to be invested BACK in an annuity. Let us say you ARE FORCED to invest Rs. 250 lakhs in an annuity which pays Rs. 11,000 per month as a pension…looks good? Well depends on what you are capable of doing with your own money! At this point of time, the better alternatives would be old fashioned products like Post office monthly schemes , Fixed deposits with monthly payouts or even senior citizen savings scheme. these all give near inflation returns atleast . Almost all the pension products are rigid in taxation and what you can do with your money at the end. Under current laws you can withdraw only 1/3rd of your accumulated money tax-free, where as there is long term capital gains at the moment is 100% tax-free. Also it’s compulsory to buy annuity for the remaining money. What if I want all my money for some reason at the end? What if I don’t have a requirement for income later? These problems won’t be there if you accumulate your money in plain vanilla mutual funds or PPF or other simple investment products. Who does not know how ULIP’s and other similar products have charged so high costs for initial years without giving clarity to customers. These annuity plans also have high allocation charges many times and customers do not know about it and can’t do much later when he acknowledges it! So why do you want to pay high fees for these products? It’s suggested that you invest in some instrument which does not have any rigidness on what can be done with your investments at some later stage, like Mutual funds, Direct Equity, PPF, Index Funds, Real estate or even old fashioned products like FD, NSC, KVP… You can create your own accumulation stage and when the time comes for “distribution phase” (pension), you can always buy some immediate annuity plans or create your monthly income through ways of renting out property, getting FD interest or plain dividends from stocks or any combination of these. I hope you have got a fair understanding of what are pension plans in India. Kindly provide me your opinion on Tata AIA insurance plan. My bank relationship manager is pressing me to take a pension plan scheme from this insurance provider. Is it a reliable firm to invest your money..
My understanding it is a term plan. First 12 years you have to pay premium. Next 12 years they are promising guaranteed sum yearly. No , its not a term plan then .. I am 33years of age and working in pvt. company. I want advice on a good pension plan. Is HDFC personal pension plan a good option to go? pls suggest. Hello, I am 29 yrs old and works in a Private org and earns well. I have no as such pension/mutual fund. Thinking about a plan where I can invest 5000k per month and should get returns from 45-50 age. Plans with Less impact on Market fluctuations is been prefered. Can You suggest me some ? What are you thoughts on Pension plan that gives guaranteed benefit and some variable bonus. I got some illustration of BSLI Vision LifeIncome Plan which claims for premium 2 Lakh for 16 years gives first return of 17 lkh on 16th year and then for rest of the life 2.40 Lakh( only 50% is guaranteed in this and other part is bonus) and in the end by 100 years or by death close to 32 Lakh. On paper it looks good but what are your though on this. THe litmus test is IRR ! .. Calculate how much is the IRR of the policy ! .. POlicies use the language which sounds good to ears ! Thanks for the article. I have been paying premium for ICICI Pension Plan II maximizer from 2005. IRDA policy that buying annuity is must for Pension Plans apply to even old pension plans i.e. 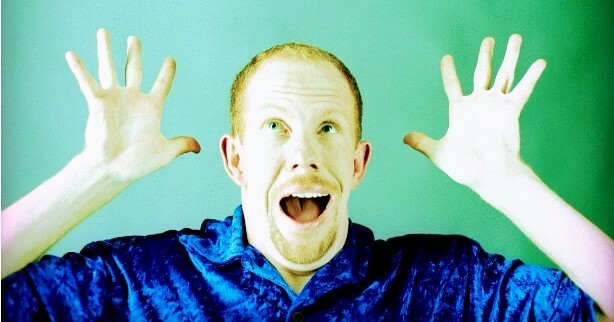 2005? I would like take lump sum amount when the plan matures. SO whats the question here ? My question – Is IRDA policy that buying annuity is must for Pension Plans apply to even old pension plans or it applies to only newer pension plans which are offered after annuity rules were announced? I think all the pension plans have this component that some part has to be invested in annuity. Is it not written in your policy document ? I am planning to buy a retirement plan for myself. I am currently 28 years old. I would like to generate regular income after 45 years. Can you please suggest me a right path for me to input my funds? I have read the discussion and came to know SIP is the best one compared to pension plans? Can you email me your opinions and we shall have a discussion on this. Hi Manish me too planning to buy a retirement plan for myself. I am currently 40 years old. I have taken LIC Jeevan Anand Policy in April 2006 for ten yrs and it got matured last month. Now I have around 13 Lakhs rupees to invest for my future Financial life. I am Single and planned to get married later this year. My father is a pensioner and my mother is a housewife. I do Not have any Dependents on me nor do I have any financial liabilities. I request you to kindly share me the best Retirement policy. I want to invest my LIC policy maturity money in that for my family future needs. And mention to my team about the retirement plan, they will help you on that ! I will update my details in the link provided by you. But currently i am not able to Login into JagoInvestor.com because I am not able to reset my password through the link i got to my email. I will respond to you as soon as I am able to Sign into JagoInvestor.com. I will mention to your team about the retirement plan. Just enter your details in the form, that should be enough. I have entered my details in the Mutual Funds Account form and I got confirmation mail from Nandish too. Good article, Thanks for all the information. Recently I have started looking for some retirement / insurance plans which can life cover within and after the premium. I found 1 interesting plan, BSLI Vision life insurance. I am not really aware of each nity-gritty of these plans. Each company provides their different options. Need your expert opinion, also need your help for better instruments for maximum returns. Dont go for these plans .. we suggest investing in mutual funds ..
We dont think you should go with pension plans ! I am 28 years and i want to invest 3 thousands per month for now and my main moto is to get good return in future so can you please tell where to invest and in which scheme i should invest please help me with this.I want to know specially the SIP plans for Mutual fund. We create a FREE online account for you, from where you can invest and redeem online. Our team will be happy to explain you more on this. Hello. Very informative for a layman like me. Iam willing to invest appx 5-8k every month for next 10 years. I was looking for a pension plan, but Iam open to better suggestions. Iam only worried that my money need to be secured. Please suggest what do I need to do? Is Reliance good? Or should I go for SBI/LIC. Thanks for such a detailed explanation and its very useful. I am investing Rs : 15000 yearly in “HDFC Savings Assurance Plan ” starting from 2011 for next 10 years. Please could you confirm, its good to continue investing money for next 5 years? or better to surrender (?) and move to SIPs. Sir i am 26 year old . I am working in psu . Please contact us incase you need help on this. @ Manish – what is the best investment at the age of 52 to secure my retirement age. Mutual funds or retirement plans? There is no one answer to this . Mutual funds can be surely used as the investments for setting up retirement pension .. Even retiremnet plans can be bought for that. Glad to know that Rahul .. I AM 40 YRS. IN GOVT SERVICE . COVERED NY NPS. BUT MAY NOT CONTINUE THE JOB. SO I NEED AN INDIVIDUAL PENSION PLAN PREFERABLY TRADITIONAL ONE. CAN INVEST AROUND 1 LAKHS IN AN YEAR. SUGGEST A FEW GOOD PLANS WHICH WILL GIV GUD RETURNS AFTER 15/20 YRS. You can look at pension plans from HDFC . Let us know if you want us to schedule a call for you with HDFC on this. It depends on how is the performance of the fund till now. What is the IRR Of the fund till now ? IF I SELECT, ANNUITY OPTION LIFE TIME WITH RETURN OF PURCHASE VALUE. THANKS, WAITING FOR YOUR FAVORABLE REPLY. Did u aware lic pension plan..with return on purchased price? I am retiring next year and working in a gulf country.I am 60 yrs. Which is the best way of investing my gratuity amount when I retire for future. It will be a good amount. Immediate annuity with a one time premium or 5 years premium for monthly benefits. or do you advice any other option . Hi Manish, Now i am 42yrs old and would like to get 40k /month as pension from 52yrs age. Please advise which is the best product can be followed and also review about the SBI-Life-Retire-Smart-Pension-Plan. You should do an SIP in mutual funds to build a corpus for that. I do not recommend going with the pension plans . First of all Thanks For Financial awareness campaign. I am 30 years old. I want to invest 5000 PM. I have already a SBI Life yearly premium of 50,000 per year. I want to get at least 15,000 PM as pension after 50 years. Please advise which financial institute or mutual fund will be better for me to achieve my goals. Also please suggest if I can continue the SBI Life Plan. Looking at your query, I think your case is complicated and you should discuss and consult a financial planner, because just a random answer will not help you at all. Thanks for your Financial awarness campaign for the common man. As suggested,if mutual fund through SIP is a good route for retirement planning, what happens if the market crashes or economic slowdown during our retirement stage? .How to be on a safer side? You dont wait till your retirement for withdrawal, you will start shifting it to safe option before few years ! I am 39, working in a private company with a package of 10LPA. I have a home loan of 30Lac and invest in LIC life cover policy of 20K yearly. Kindly suggest me the best Pension Plan and SIP suited to me, to invest in. I dont suggest to invest in pension plan . I read you article, I changed my mind and will not be investing in pension plans anymore. Thanks for your efforts in making people understand. Glad to know that Jaidee ..
Best pension plans in india-It is a great article and eye opener for those who are not much aware about financial planning.You are doing a great service to society by spreading financial awareness among people without taking any fees where there is so much mis-selling of financial products. Thanks for the article , have changed my mind of investing in retirement funds after reading this article. So plz help me to find a way to investment. I m now 30. I m a wb govt employee. I earned 22k /m & single. Next year I will get married. I wanna know for children’s plan for 15 year and pension plan for next 25 year. I have a hobby to explore various places. First of all thanks a lot for such a precise, informative and well structured article. with fund on 100% debt allocation. Locking period is for 5 years. Shall I continue the plan for 20 yrs investment or take out money after 5 yrs. I am 31 yrs old and this investment is purely for retirement pension purpose; so my intent is to allocate the maturity amount to Post office saving scheme. Please guide if I can plan better than the present investment and also your due diligence on Wealth builder plan (SBI life). I strongly suggest not to go for these plans , better go for mutual funds ! I am 36 year old and an NRI. I have two plans and wanted to discuss with you whether I should continue these or not ? If discontinuing, will I be getting my money back or how much part will be returned. Happy to have a private conversation if you can guide me through. 1) HDFC pension plan started in 2010 and haven’t paid the current installment due this month. I am paying 60000 annually in two installments. Current fund value is around 4 lacs. 2) ICICI prudential smart kid: Paid 3 yearly installments of 55,000. I haven’t paid the current installment due in June/July. 1. I want to purchase pension plan for my Father (56) and Mother (49) who are already retired. Can you pls. suggest me some reliable plans. Premiums will be paid by myself. 2. I am an NRI working in GCC my goal is to purchase house in Mumbai by 2017-2018 worth 45 lacs. At present I am willing to invest in NRE FD but later would like to invest in mutual fund but dont have any knowledge of MF. Pls. suggest me ways through which I can achieve my dreams. * I don’t Know exactly which is better, Mutual fund or Index Fund. For 12-15 Years term you can choose Diversified Equity Mutual Fund via SIP route. You can expect reasonably good returns when compared to others. Was looking to buy Pension plan from HDFC that is when i found your article. My plan was to invest 1.5L per Annum for myself and same for my wife . My age now is 36 years and i can invest for the next 10 years at the same rate . Can you give me a option other than this plan . I have no problems to invest in options with high risks however i am not very good at stocks . Which MF scheme shall we invest for long term good appreciation? For days I was trying to understand what is annuity in pension scheme and overall pension scheme. Your above article is too simple and highly informative, it has clarified both how it functions as well as its dis advantages. I want to invest RS.3000/- PM in any investment plan . Which Plan is best for me which Bank or Financial institute will help me . Whats your risk appetite ? I am 34 yrs now, I want 1,00,00,000/-Rs in my 45th year Or I want 1,00,000/-Rs every month from 45th Year, can you suggest how much i need to invest in which fund / plan? I can only invest only for 5 yrs (2015 to 2020). Thanks. I think if you invest 10 lacs a year, you can achieve your target ! If its a traditional plan, then I think you should not continue it ! Ihave licsJeevan suraksha since 1999 .Annuity vestingis in 2021 should i conti ue or surre der . Another licpolicy is jeevan surabhi maturing in yr 2016 April.and childrens money back maturing on nov 2019.what should i do . Continue or not ? It is indeed an eye opener, I was about to invest with HDFC retirement plan and after reading your article and others opinion better to go for SIP mutual funds. Welcome .. Glad to know that Kiran ..
Nice Article !!!! I was looking for an advice…. I am investing 25000 Rs annually in LIC Market plus 181 pension plan . I am having Life cover and accidental death cover of 5lacks and 10lacks respectively. I have started the plan in 2008 and current return is 5.5% .. What should I do ? It is advised to wait long term to get market benefits .. Please suggest..
All your articles are really very informative and to the point. Really appreciate it. I want to touch upon below points. 1. Annuity plan is aimed at regular stable income through his retirement age. Given the increasing life expectancy, a person may live around 30 years after retirement. Annuity gives a stress free option of regular income through-out his life. And once purchased you are locking that monthly annuity income through out his life. This is not the case with fixed deposits of banks. The interest rates vary . Hence it is a trade off between higher return and stable income. 2. Rigidity of the annuity plan is for a reason as mentioned above. So that you cannot mess around with your corpus during your retirement age . 3. Though it may not happen with PSU banks as frequently as private banks, the banks always have default risk. I have not seen insurance company shutting their shop or an insurance company winding of their operations had an impact on money of the customers. 4. So not all but a part of your retirement corpus can be assigned to annuity plan, so that you have stable income, which is very important during old age. And rest can be distributed among other asset classes like FD’s, debt mutual funds etc. 5. Coming to NPS, it is a kind of conservative mutual fund with world’s lowest expense ratio. With very strict PRFDA guidelines for investing in stocks to the fund managers, the equity component has lower risk compared to a diversified equity mutual fund. 6. NPS gives you the best of two financial products i.e., a mutual fund and pension plan. With mutual fund kind of investment strategy and lowest expenses compared to all other pension, ULIP plans and even mutual funds (all being backed by a regulator PFRDA. ), this is the best pension plan available in the market. The recent tax deductions, makes it even more attractive investment option for your retirement. The reasoning that Pension / Annuity fares low against Plain FD / PPF … is based on few assumptions. Annuity today paid is at this rate. Age 60 years, 1,00,000 get Rs 775 per month for life. This amounts to Rs 775 x 12 month = Rs 9300 = Minimum 9.3% interest annually. This is assured for life even if interest rate cycle turn opposite & interest are reduced to any amount. The pension of Rs 775 per Rs 1 Lac of annuity is assured for life. There is 1 small / big SOFT assumption, that after the age of 60 years, individual person will always be ini capacity to take his own decision for his money. many a times, children take-over the money and suggest the elderly that they will put the money in use in business etc. & earn higher yield. And at that juncture either elder person is made to agree or he get agreed emotionally , which turns out to be placing money in high risk option. I feel, every person, must have NPS to certain extent , say 25-30% , of their retirement need. If someone think, he need 1,00,000 then it would be prudent to plan 25,000 coming thru NPS. I am 27 years and i can invest 5 thousands per month for now and my main moto is to get good return in future so can you please tell where to invest and in which scheme i should invest please help me with this and one plan for my father also he’s still working and have 8 years more left for retirement. I would like to invest through you so please tell me everything about this and i have only 30 days left in india so please make it asap. I have emailed you ! please advice me on how to plan for retirement , preferred investment options. Let me email you ! I have “LIC Market Plus-I Growth Fund”, but after five year of invest i am so confuse will continue it or Surrender. Some agent said me continue or some agent said surrender it and invest your money in MF. Hope you are doing good. I am new to job and have less knowledge about investment plans. I am looking forward for a long term plan (20-30 years) with 60K annual premium, just to get a good amount in return and tax savings. How is the Future Growth plan by Bajaj Allianz and Click to invest by HDFC. Is it good to take these type of plans for long period of time? Also, what is the minimum guaranteed amount i can get from these plans if I invest in these. If you could suggest any other better plan than it would be great from you. I am 32 year working. I am in big dilemma what to do about my pension plan. I took HDFC classic pension life insurance in july 2011, for 27 years premium 13000 HY. so far i paid 7 installments. I came to know since 2012 mid new polices drafted by IRDA. before paying my jan slot. I have 2 questions please help me. 1) Is this old classic plan better than new hdfc pension plan? 2) if i do paid up still i get my so far premium paid 91k+60k (bonus, declaired)+(Interest 6 to 10 pc?) @ 55 year. What is your choice to continue or not? I m 51 years old and my wife is completing 44 years . I am retired. my wife is not financial so savy, I want to invest 50% of my financial saving in jeevan akshay VI (option 7). I am expecting approx 7.3% return annually after considering 3.09% service Tax. ( I understand service tax is not refundable to our nominee). As per 2011 life expectancy india 2011,male life expectancy at 50 yrs is 73 yrs, female life expectancy at 45 yrs is 75.2 yrs. joint life expectancy is 74.3 yrs. therefore I have to plan for at least 30 yrs. at present 30 yr central govt security is offering 7.76% YTM. Interest payable half yearly. I do not know any product providing guaranteed returns for more than 30 yrs. There are products in the market offering better returns for smaller period. there is reinvestment risk involved in these products. RBI has recently started reducing interest rates expecting lower inflation, indian economy is integrating with world economy. world economy is in disinflationary mode.so expecting lower inflation in future. also expecting lower retail prices due to internet connectivity growing (mediators in supply chain from production to consumer will get reduced ). Due to medical advancement life expectancy is also getting increased. please do convey your valuable views. I suggest you go down to the level of your financial goals. and first list down what all you need to achieve ? Nice article on pension plans. Please advice – iam 31 years old, iam ready to invest upto 12000 on monthly basis for 15 to 20 years. Kindly let me know the best place to invest for higest and safe returns. I spoke to HDFC advisor for unit linked plan and he claims that this plan will give around 50% returns if invested in blue chip fund. Is it true? also investment route can be changed from time to time. Its non-sense . Anything promised above FD return if like a scam . Pension plans invest in equity at times, and if they are promising 50% , its like cheating ! THIS IS IHE FIRST TIME I AM WRITTING THIS LETTER,IN YOUR SITE.I AM WORKING AS A MARINE ENGINEER HAILING FROM COIMBATORE,TAMIL NADU.RIGHT NOW I AM WORKING IN LUANDA, ANGOLA. SO FOR NO PLAING. NOW AT THE AGE OF 51 I AM THINKING WHAT TO DO AFTER SIXTY YEARS. MAY BE ANOTHER 7 TO EIGHT YEARS I MAY WORK OR UP TO AGE OF SIXTY.HELP ME BY ADVICING SINCE ALREADY IT IS LATE,MY WIFE IS 45 YEARS OLD,WHAT TO DO FURTHER SAVINGS FOR BOTH OF US. I stumbled on this article is quite timely. This analysis is exactly what I was expecting to read. I have invested six annual premiums in HDFC Pension Champion with four more to go (I am 56 now). I am now thinking if it was the best retirement investment option for me. Do you strongly suggest that I surrender/withdraw and invest in MF or PPF? I am not sure exactly what your situation is , and how much will you get back . But surely you are not into the best option . This was really a nice article. I always remains in puzzle about these investment plans. Actually I have invested in ICICI prulife pension plan – Life stage assure plan for last 4 years. Should I continue to this because I am not finding any promising returns rather I am thinking to switch over to PPF. Also I would like to seek your advise about Mutual funds. How should I select those. Request you to quote the reference number 048327_aaiu whilst sharing the details. Post receipt of the requirement, our representative will get in touch with you within 48 hours. Surely you can invest in debt funds or balanced funds . But first understand what are these products and only then invest. I have another query- I need to start retirement planning and am 36. I understand from many of your replies to different people that ULIP’s are not as good for retirement planning as Mutual Fund SIP’s (systematic investment plan). Considering that I have 24 years more to retire, what is be the best retirement mutual fund SIP plan you would suggest for me to generate consistent and max returns over a 20-30 year horizon- can you recommend any good fund for me ? 2. I started the HDFC Pension Champion when I was 52. Right now you should focus on Safety of Capital ~! Fine as you advise. I shall keep it. Also, I have another query- I need to start retirement planning and am 36. I understand from many of your replies to different people that ULIP’s are not as good for retirement planning as Mutual Fund SIP’s (systematic investment plan). Is that right ? WConsidering a 24 year period, which is the best retirment plan would you suggest for me to generate consistent and max returns ? I have been investing in a Max New York Life ULIP Rs 18000/- per year since Jan 2005 for the last 10 years, including this year (2014). The maturity period of my ULIP is still 2020, but if I want I can withdraw the corpus even now. My agent told me that so far I have invested 1,80,000 (over 10 years) and the market value/investment value of my investment is now (2,55858/-) on Jun 19th 2014 . 1) Is this increase to Rs 2,55,858 after 10 years a significantly good increase ? Would you recommend I continue it or withdraw the corpus, close the ULIP and put this in a monthly SIP of a good MF ? 2) if I were to invest Rs 18000/- every year for 10 years in an FD, would I have got better returns through the FD than through this ULIP ? I would very much appreciate your expert opinion on this which will helpme plan my investments in future. Its not a great return over all .. Its an average return I would say, but then ULIP;s are like that and you are actually lucky to get a positive return . I think you can keep going .. This is very useful article. I am 32 years and having annual income of < 3lak. Please suggest me the best pension policy. Better invest in mutual funds and not some policy ! I have a question about Pension plan. Can a person take multiple times “Immediate annunity plan” that pays pension every month. Say is it possible that I buy an immediate annunity plan every year. Are there any hurdles in it ? You can do that .. but what will you achieve out of this ? Why do you want to do that ? I have 4 reasons for doing so as listed below. Please correct me if I am wrong. 1. There is no surety of job for next 15-20 years, so I dont want get into the deferred annuity plan where if I fail to pay the premium because of job loss, I may have to pay penalty. These companies are no better than builders who will use the same reason to play against me. 2. Even If I have the job for next 15-20 years, there may be conditions where I may need money for some other purpose and may not be able to pay the premium. 3. Today we are getting 7.5% on the lumpsum paid but the same percentage is decreasing year after year, so I want to lock as much amount as I can at this rate as I do not have the entire amount now. 4. This method of buying every year gives flexibility. I can buy for whatever amount I am comfortable with. No compulsion of paying a fixed amount. This is really informative, actually I don’t have any idea about investment, can you please suggest me?? my age is 33, married, and my monthly income is 25000, I would like to invest for my retirement in 55-60. Am 27 year old single man.currently am investing 500ruppes through SIP to UTI retirement benefit pension fund(last 1 year).I s it good for my future,i would like to retire on 60yers.if it is not good suggest a good pension plan. Its a good option compared to other traditional options , BUt dont you think Rs 500 is very small amount ? I have Jeevan Tarang Lic policy and paying premium of Rs.25000 per annum for the past three years. I received Rs 72000 as bonus from the company 3 months back. Do you think still it is not good return and I need to surrender this policy . Thats a great return … You can continue if this trend is continued ! . I wish, I read thius article and had these information six years back. In 2007, I decided to invest in HDFC Standard Life’s Pension Plus plan. This being an ULIP, has not given me any return so far. I mean, I have invested over INR 1.6 lakhs so far, and its market value is at the same level. But If I would have invested in FD/PPF/NSC or RD account, then it would have given me a 8%+ return! Please advise, if it makes sense to discontinue this plan and get the money out. I think its better to get out of the product , not just because of its performance, but your relationship with this product. I would suggest investing in something which you understand in and out ! I would like to know that is it possible to withdraw all the money in a LIC annuity plan if the annuitant requires the money for some reason? If yes then what is the procedure to do so ? Which product are you talking about ? Almost all the traditional plans have high costs , can you share what has been your returns till date ? Manish why do you want to know about the returns? Its just about an annuity plan of LIC. Oops .. I am sorry , I misunderstood your question . I assume that you are talking about the LIC plan where you have yourself invested and not which is linked to your employment . Normally these products have some lock period , can range from 3-5 yrs . Whats in your case ? Can you look at your policy document ? Its ok. Actually my mother has an annuity plan (which was from her school’s side where she was a teacher) and LIC has refused to give back the money saying that only the nominee will get the money after the policy holder’s death. I am 32 years old and earn Rs 50,000 a month. I plan to retire when I’m 60 years old and would like to have a pension of Rs 40,000 a month (at today’s prices). How much do I need to save every month to be able to achieve this? HAve you read my 2nd book ? We have explained how to calculate this for your retirement . I have two unit linked HDFC pension plan one HDFC Unit linked pension scheme started in year 2007 (Rs30000/- yearly premium) and second HDFC Pension super started in year 2010( Rs 20000/– yearly premium). Policy terms for both policy is 10 years. Please advise whether I should continue with these policies or surrender it.I know I will be loosing money but do not want to loose further. My age is 54 years. Continue with them in that case ! I think you can buy it, you will actually have to look at the product brochure if NRI’s are allowed or not . I have taken a pension plan for 5 year term called freedom 58 from Birla Sunlife at an age of 23 and i am in 4th year. 1. It say vesting age is 28, what does it mean? 2. As per Birla sunlife vesting age means i have to wait for 28 years from the date of policy (that i will get my pension at 23 + 28 = 51 age). Is it true? 3. Is it better to quit becoz my fund value is low with a difference of Rs 10000/- from the actual paid. Did you read the policy document ? Lets say, the corpus at maturity is 1 crore. Of this 60 lakhs is paid to the investor and 40 lakhs is converted into Annuity with an return of 5% p.a. Firstly, 40 lakhs is non-refundable and 5% return is ridiculous. Even a layman can use the 40 lakhs and deposit in Bank FD fetching 8+ % p.a. Moreover, the 40 lakhs is repayble whereas in pension products or for that matter NPS, the 40 lakhs is non-refundable. Manish, Is my above understanding correct. In that case, What is the benefit by opting for pension plans ???? Why companies are emotionally promoting such faulty products ???? I can become my own Fund Manager and generate more revenues than any other FM’s. By making NPS mandatory for employees, the Govt. is robbing the investors in broad day light….This is a White collar crime….NPS for employees should be optional. True , thats the whole article is about ! I am planning some monthly income after 12 years.I would like to know if I invest rs 7 lacs as a one time premium retirement solution from some life insurance and get returns after 12 yrs is it better than a FD for the same amount. Reg your article on Pension Plans, I feel there is no justification on investing(wasting money in Pension plans. At the end of period one can withdraw only 1/3rd. Reg balance the corpus remains with the company and one getis the hardly 6/7% which is the customers money on which company is enjoying and investor is cheated. I am 42 and thinking of a retirement plan/pension plan. I saw your articles about various pension plans. Is it advisable to invest on real estate (buying a property and enjoy tax benefits and also get the monthly rent as income) than pension plans OR PPF? Whatever I plan to pay every months as premium for pension plan OR PPF, I can divert it as EMI for Housing loan. Please advise and provide some calculations to understand the returns. Its not an easy question to answer. Both options have pros and cons. I had invested Rs. 15,00,000 in Aviva Pension Plus regular – Unit linked which matured this year. Since I was not keep a tab , I missed the maturity date and am not compelled to withdraw justt 1/3 of the amount and compulsarily convert the balance into an Annuity Plan. Pension Plans are a complete disappointment , personally I find this a scam and completely agree with you that Mutual Funds and FDs are the way to go. Now that I am forced to convert it into an Annuity, I will choose a 5years plan but could you please direct which company I should go with – Aviva, LIC, ICICI Prudential? Why did you choose it before hand if this was the case ? I would say look at LIC or ICICI pru for annuity . Thanks a lot for this informative article. I am 30 and living in london. I am told several times by many friends not to invest in FD or such pension plans as most of the mutual funds will deliver more than that in long term, however they also mention that it is important to juggle your funds every few years to ensure you are invested in a high yield scheme. However not being in india and not very aware of what funds to go for this becomes difficult for me. So the reason I go for FD and such plans is because in a way I know the money is safe and returns a guaranteed yield. What do you advise for people in my situation? Can you pl. guide me, which is the best ‘ immediate annuity pension plan’ from available plans. I saw there are Jeevan Akshay from LIC, SBI Life – Annuity Plus, and Immediate Annuity from ICICI Prudiential. Kindly share your openion or suggest best available plan for immediaty annuity. We dont think pension plans in market should be taken . I am 55. I had taken a policy from ICICI in 2004 with premium 1 lakh per year upto 2013 (scheduled for last premium). policy name is life time pension II. Can you guide me which option of annuity I should take on completion in next year; what is the monthly return i get? I would like to know how this annuity works; whether this will be better than just depositing the whole amount in a bank in term deposits? this is to decide to continue this plan. I was really very upset after taking a HDFC unit linked pension plan-II I use to pay Rs 12000 yearly I had being paying it for last 4 years but still when I calculate I find that the return which I am getting is much less than what I had invested few of my friends say to continue with it for its term period of 30 years I am 28 years old I am very confused whether to surrender my policy or should pay for few more years..one thing more I found that my entire money is invested in Growth fund…should I switch my funds in other funds such as liquid,equity, ..or in other funds…kindly guide I don’t know anything about finance. I think you should stop it now and take the tough decision .. better invest in simple product like a mutual fund . I was searching for a good advice for my retirement. Your article is very informative, but for me it is now bit confusing and need your advice. I am 42 yrs old and did not start anything for my retirement. I am employed abroad and looking for a good plan. I used the calculator and was confused with all the details needed there. please advice me as I am layman when it comes to finances and investments. I want to retire at 60, and with the same standard of leaving as of now. My current monthly expenses is around 1.5 lacs INR. Will do invest as you suggest. Also is it possible for me to operate from aboard any plans what you will be suggesting. Do I need to have life cover and critical illness plan also. If so which one to take. I would say better start your investments in mutual funds . That can be done from UAE itself ! Thanks Manish for your advice. Hi, Manish. In your review you seem to have lost sight of insurance cover that the pension plans provide. You may agree that with insurance cover they are not all that bad. Plus, since the insurance companies are reluctant to market these plans due to stringent IRDA norms, it implies it is beneficial to the persons opting for them. No? Normally most of the pension plans do not come with life insurance .. I am not sure which plans you are talking about ? Can you tell me more about such options .. also the point of the article, is they are not the best products you can buy with your resources ! Thanks for prompt reply. God bless you. I am 64 and have taken a plan called ICICI Prudential Systematic Retirement Solution. Premium is 60K pa and sum assured is 6L. Premium term is 5 years and policy term 10 years. Agent told me I can have my money back with some appreciation after 5 years or may continue. As an expert with ability to read b/w lines, kindly advise if I have done the right thing. My free look has not yet started. I would have said it was much better if you could save in plan FD ! , but this is ok .
What kind of plan is it ? Is it a ULIP ? I am 32 & I have ivested in term plan, and investing in HDFC Equity – Growth, HDFC Mid cap – Growth, ICICI Focussed Bluechip, UTI Equity, SBI Magnum to the tune of 10,000/ month in total in all these funds, do i still need to invest in Pension plans or any other plans. my target for retirement is 4 – 5 Crores. I think you are on right path . Just that you need to keep upgrading your investment amount in few years . just dont fix it to 10k per month ! Thank you for replying, just one last thing my monthly household expenditure is 22k to 25k, please tell me if have set the right goal of 4-5 crores for my retirement to maintain my current lifestyle. Hi Manish, Wow, Great Work, Hats off to you.. I am 25 now, planning to have a retirement investment i.e, fixed one time return at the age of 60, 35 years from now, with low risk, and with monthly fixed contribution. After looking at different posibilties, I think an RD with a Public Sector Bank for 420 month with Monthly installment of 10k @ ROI 8% would be the best one. Also, RD doesnt attract TDS. Could you plz guide me weather is it a proper idea, or should I think of alternatives..
RD will not attract TDS, but tax is still to be paid . After reading the article also you want to invest in a pension plan ? For which purpose ? What is your goal and the time horizon ? Better stay away from pension plans .. they are just a myth . Why dont you accumulate your money in some mutual fund and then in future create an income out of the corpus ? I was totally confuse. I am 29 now. I can Invest an amount of 50K/Month. I want more and safe returns . I need a policy now which would help me to keep my finance good after 10 years. Means 10 yrs * 50K = 5L. So please suggest me the policy that would help me. There cant be anything which will be SECURE and HIGH returns , you have to compromise on something .. the best thing I can tell is equity mutual funds ! I am planning to start investing money(50k/annum) on Yearly basis for approx 5-10 years and expecting decent returns on a monthly basis something like retirement plan, so i want to know which investment option best suits for me???? Only when you would like to deploy the money you should be finding those options .. Are you looking for income right now ? I was thinking of investing in ICICI Retirement Income Solution where they are promising the return of 9.5 % after the lapse of the stipulated period. If not this, then some decent investment propositions. Is it gauranteed , mentioned on papers ? after 10 years , How much i will get the pension amount ? How long(years) I will get pension ? It would depend on the type of plan . why do you want to go for pension plans even after reading this article ? What about ICICI’s Systematic Retirement Solution Plan which is also called as Wealth Builder. They promise that the principal amount will not go down although the investments are made into MFs. We can withdraw money after 5 years or leave it for getting pension later even for spouse or child after the death of the insurance holder. a sustainable income after 15 years. I don’t have any sort of loan and have about Rs.50 lcas invested in deposits. I am working and have invested in some Mfs. Seeking advise on how to invest so I can achieve my future financial goals. I am doing my own financial planning, I was just looking for my retirement plans, my query is what is the best plan for maximum returns. In other words, I want to keep investing in the plan till retirement ( I am 27 now, retirement age is 60 for me, so I will keep investing in it till 33 more years ) without pulling out money in between. I am looking for plan that can give me maximum returns be it lic or any thing else say fd or anything ? Please reply once you get time. Dont look for some kind of “policy” . All you need is SIP in mutual funds ! My husband is 54 and working in the hospitality sector with a salary of Rupees 8 lakhs/annum. My age is 46. 2. Also a very good mediclaim policy which would also cover out patient costs> We have a mediclaim of New India assurance but it doesn’t cover the expensive medical routine tests we have to conduct from time to time. 1. Its late now . At age 54 and 46 , you cant take the best of compounding , now you will have to settle for Balanced Funds or some more secure options . I would suggest that still take advantage of equity now and invest in mutual funds with 10 yrs view . While the fluctuations can happen , its the only good bet you guys have . 2. the policies which pay for regular expenses and checkups will be a different kind of health plan , it will mostly be a membership card and not a policy which will charge a small amount . Thanks Manish! Please advise how much we should invest and which Mutual fund is the best bet! How can I invest how much you should invest ? It totally depends on your capacity ! Please spend 2 mins for me and help me to go further in right direction. Tell me whats your query ! About ICICI policy, surrender before 3 year should be same as in LIC Jeevan Tarang policy. 1) Amongs above two, which policy should I discontinue? 2) Should I discontinue both of them and invest 50,000 per year in some other scheme like PPF. Please suggest some good options for investment which will give good return as comparied to above to policy. Your kind help is required in this. I would go with 2nd option ! Choosing option 2 means loss investment 50,000+50,000 = 1 lac rupees. Yes i know its tough ., but you need to look at the whole future , evaluate both ioptions . I want you to do a bit of maths ! Please help me in this as today is the last day of payment!! Due to some reason I want to discontinue 1 of the above policy, can you please guide me which one is good to continue amoungs above 2? Cant be decided like this in a flash , you need to give more info about the cost and expenses charged by them . I took both these polices almost on same time last year and paid 50,000 Rs. for each of them (payment for 2011). Both these polices are 1 year old, so will be getting nothing (I guess) if discontinue any of them. Please let me know what else you want to know? Yes mostly you will not get anything till 3 yrs , I am sure about LIC one , but with ICICI one , better check what happens with you surrender before 3 yrs from their customer care or from your brochure ! Also Check what you can do in next set of years , can you make a better return compared to the default option ? If yes, then better stop them . Also from next time, think and analyse things BEFORE , not AFTER ! Thnaks for such a nice article… Don’t you think NPS is a better option in current scenario wherein all other funds are asking for very high Fund management charges whereas NPS is very very less as compared to them… NPS also distributes the investment as per our need in Equity/Corp Debt/Gov. Securities….. I think we can accumulate similar way as in MF SIP with NPS…. Just putting out my thoughts…. Would like to get your suggestion on the same…. Do you know how the NPS will give you the pension , at what rate ? If you do not have clarity on that, will you still like to invst ? Very Good article & informative. I am 45 years old & after the age of 60 I need 50K per month. Considering that how about following my plan. b. Invest in PPF, MF & SIP till age of 60 continusly 1lakh every year. So at the age of 60 I will have more than 80 lakh. Is this plan is Ok or I need to look in to other options also. I am 34 yrs old and am looking forward to a suitable pension plan that will cover my wife and me. I really dont what is a ” Good Pension amount” whenever i retire.Currently,I am working for an MNC based out of Gurgaon. Suppose a senior citizen, 75 years of age, wants to invest money in lump sum or for 5 years, for regular income to his children, like pension. He/she does not want the children to get lump sum or bigger chunk of money when he dies. Obviously he/she is not interested in life insurance. Is there any suitable scheme available for the purpose, from any company what so ever? Yes, the best option is Senior Citizen Saving Scheme or the POMIS ! I am 36 year old married man.. I wish to know that which is the best pension plan for me. OR what should I do to get pension in my older days. As of now just concentrate on wealth creation , you can create pension later out of it . I am a 46 yr old doctor with pension in the NHS , UK & i have a pot of approx £332,000. I took a ING best new years earlier this year prior to it being discontinued. I am told i have a vesting period of 5 years & pay minimum amount yearly. I am also told i could transfer NHS pension to ING vysya & if account is closed prior to vesting period i can take all the money out. what is your feeling ? My job in nhs is permanent though i am more inclined to get my hands on all my money in pension pot as soon as possible. I know this post is too old. Let me know if you are still considering the transfer. The points you mentioned above are not correct i m afraid. Also whether a UK pension transfer is better off or not, to India or Offshore are some of the many factors to be analyzed first before taking a decision. Each and every case is unique and has to be carefully examined and depends a lot on your current personal circumstances and future financial objectives. I am 46 year old and want a plan to get 25k per month after retirement (60 year). Pl. advice, best plan at this age and how much fund require for the same. Will 25k be enough when you are 60? its same as getting 10k right now ? I am 46 year old and want to retirement plan for Rs. 25000/- per month, after 60 year age. You want to invest 25k per month or you want to get 25k per month ? I just came across your article and have to join the queue to compliment you, great work indeed ! What is your opinion on HDFC prow growth fexi plan. Thy are offering tax free returns after investing for 5 years minimum. The product can cover, life, education, pension plan etc? Recently I have start searching about the pension plans in India and read your great articles. I really impressed and looking forward some guidance from you. I am an OCI and living in Australia. My age is 51 and thinking to start some investment in India from now onward, as I have decided to move to India after my retirement age. I am looking to have at least Rs. 50,000 a month after my retirement age 65. I will appreciate Manish, if you can please give your expertise opinion to what and where to start investing money to achieve my goal at my retirement age. Ok you are starting at 51 , that means you just have 14 yrs left .. now the time component is restricted ,you should now use the option of equity investing to full extent . Invest in few good mutual funds aggresively and try to get real estate deal too in a city where you want to retire . Your movement of jaagoreinvester (I mean the forum) is great. I have LIC’s jeevan sathi plan since 2009, annual premium paid is almost 60 k. Please suggest whether to continue or when to surrender? Pingback: How to generate retirement income for parents? Excellent article! Thanks for all your input on indian pension plans. Now, its time for me to start investing in MF. I have been reading your artlcles & feedback regularly. I would like to put my MF portfolio for your review & advice. As per me there is no substantial growth. I want to review & modify as per your advice. Wts ur review about Kotak mahindra assured insurance plan. My LIC Market Plus ULIP will complete 5 years in Jan 2013. I had tax benefit on premium under Section 80C. If I surrender policy after 5 complete years, will surrender value tax free? Please answer. Thanks. What about Tata – Aig Mahagold, i have taken it one year back . Kindly advice whether to keep it or surrender. Nice article and discussion. Could you tell me how is HDFC SL Progrowth Maximiser? Also I am looking for one time investment products. I hope I am doing right. Please advise. I opened link provided by you and found 1 slide in the presentation. Has it only one slide or I am missing something? Which slide are you talking about ? Very informative article Manish. I have two pension plans from ICICI. I think I will surrender those and put the money in equity funds. However if I surrender these before 5yrs are completed, what are the tax liabilities? I think besides that, the fund value will be added to my taxable income and I will have to pay tax on that too. In that case should I hold on to them for 5 years? Yea .. even that will happen .. if its just few months left .. then better wait ! If you are looking for immediate annuity then yes Jeevan Akshay VI is the preferred choice. You will start receiving pension immediately. However, if there is still time to reach the vesting age then you will have to go for a deferred annuity plan. I am too far from the vesting age. Also I would prefer for the single premium. Can anyone suggest if the following plans are still running as I didn’t find them on their company websites? Pension plans today are costly and not attractive.Reason IRDA has made it mandatory to provide guaranteed returns in all pension plans not only at vesting but in case of surrender and death also.Due to this most companies are not even marketing these plans as they find it difficult to comply with this norm. It will be good if you look at other options like Mutual funds for accumulating corpus for retirement and then at your vesting age buy immediate annuity.However the only risk today is that annuity does not increase with inflation and you might have to look at other source of income if your need increases. Probably when you reach your vesting age annuities will be far better. Hence my advise will be to do a proper retirement planning where you will first identify your desired income and then invest in products which can meet it.Searching for a single product will be difficult in current scenario as annuity market is still not developed yet and there are many factors like inflation, longevity, income etc. which you need to consider while planning for retirement. I understand, the pension plans are not attractive but I have no other choice but to transfer my overseas pension to one of the “qualified Indian pension plan”. I am trying to find out the best fit plan from the list provided by the UK govt. I am facing problems because the following plans are not available on the web so I would like to know if these plans are still open? Need to check with the companies about these plans. Will take a day or two. In the meantime I have recently come to know about a company based in london and having office in India who helps individuals worked in UK to unlock their pension and invest proceeds in emerging economies including India.Will be meeting them sometime in FEB for details. I don’t know if it is allowed to unlock the pension before vesting age in the UK but which is allowed, is to transfer into QROPS. Anyway, I would like to hear if there are updates and I am not aware of. This is NPS- New Pension Scheme launched by the Indian government. Probably the best option among all products. Were you able to get the pension transferred from UK to India? I am a UK resident as well and now thinking of transferring my UK pension to Indian pension schemes approved by the the UK. In addition to the list Meena provided, there has been one more added – Aviva Pension Builder, which guarantees that your investment will double in a 12yr period. As Meena mentioned, you have to transfer them to qualified pension schemes. I wanted to check whether you guys have been able to further explore and figured out alternatives or which one is the best scheme from the list. There has been new IRDA norms on pension plans due to which old products have become unviable. Companies are finding difficulty in implementing these regulations due to which new products have not been launched. Old products will not be applicable now and hence i am taking time to figure out the best in today’s scenario.Products listed by Meena are no more available as they are old products. I will be able to tell you in few more days the best options. Are you allowed to transfer your proceeds in NPS (New Pension Scheme) launched by Indian Government. Check on this. http://www.pfrda.org.in is the website.In today’s scenario this is the best option you have. Can you repose your question ! I don;t know what you mean by “repose”, do you want me to create a new thread. Basically, I wanted to know if someone in the forum has done QROPS and can share their experience. And, in the QROPS list there is an eligible fund/plan called called “Quantam Solutions Elmpoyee Provident Fund”, What is this and any urls/links to give more information on this fund. I have LIC’s Market Plus I Growth (ULIP) policy, I can buy this policy for retirement purpose. After five year I can invest 63000 in this policy and I get 4067 Units and current value of units is some… 76500. after five year of investment I am confuse…..! Can I continue or surrender this policy? And what you are suggest for retirement/Pension scheme for me? I am 34 year old. Thank You dear for your reply. I suggest you can surrender it now ! Please suggest the Best Pension plan/scheme for me ? I am 34 Y Old and Yearly income is 1.8 Lack, so I plan to retirement/pension. I have invest 3000 in PPF (monthly) and 1000 in LIC Market Plus I. After your suggest i will surrender my LIC Market Plus I policy. Second one NPS is a better option or other product? You can either invest in SIP of mutual funds. Let me know if you need help in that ! Thanks for your reply me. I will start the invest in SIP of Mutual funds. I have no demate account but I will plan to open it shortly and do the invest. Please suggest the mutual fund name and how to start SIP in it? After surrender my policy I get the lum-sum amount so What can I do start SIP/STP because of this amount is my retirement corpus? Whether a UK pension transfer is better off or not, to India or Offshore are some of the many factors to be analyzed first before taking a decision. Each and every case is unique and has to be carefully examined and depends a lot on your current personal circumstances and future financial objectives, residency status, etc. Besides, there are various limitations imposed by IRDA on pension schemes here that may affect the growth of the funds in Indian QROPS. On vesting age one has to compulsorily buy an annuity and hand over all your money to an insurance company in lieu of set rate of interest income. There will be absolutely no scope of growth of funds thereafter. Considering immediate annuity will first have to pass the test of non-uk residency status ( the 5 year rule) to avoid penalties by HMRC in terms of unauthorised payments. There is also a 10 year reporting rule by QROPs to HMRC. Any scheme not following the permissible pension rules may attract heavy penalties by HMRC on such unauthorised transfers. Merely being listed on the HMRC site DOES NOT make a QROPS authorised or recognised by HMRC. thanks manish, we were planning to surrender our ICICI n LIC pension policies but was not sure, but after reading your article I am convinced. Whenever I have a doubt I just hop on to jago!! Glad to join forum…….Very Very informative and eye opener article. Thanks for nice Article on NPS. Welcome .. Have you invested in NPS ? Btw would love an article about arbitrage funds as an investment option. Very informative post…thanks for sharing…lovely blog !! Thanks for another great article. I would again raise my point about NPS. Most of us talk only about the non-mandatory part of NPS ie. the Tier II wherein one is free to invest money or to stay away. What about a large number of govt. employees who have joined in the past few years for whom investment in NPS Tier I is mandatory. What options do they have? Is there a way to make the best out of this obligation? But in all the mumbo-jumbo of the NPS talk there is also something about choosing amongst fund managers and options to switch after every some time. How do I understand which fund manager’s approach to my money is right? Truely speaking , i think you should think and act less .. I would recommend just buy some top funds which are long term funds and already tested .. dont try too many things .. Focus more on consistency and saving more and more ..
Why do you think your NPS contributions will go to waste? Where is all this logic coming from? NPS is a very powerful retirement scheme and unlike any other pension plan or even mutual funds for that matter, its maintenance charges are ridiculously low, to the point where no distributor wants to open an NPS account as they hardly get any commission out of it, which means you get the max out of your investments. In NPS you have the power to control how much percentage of your investment should go to equity (upto max 50% to protect against market downturns) and how much in debt (upto 100%). This is a fantastic way to rebalance your portfolio as you will never hit red even during the bad times. Its true that you are not sure of the final returns as nothing is guaranteed but where is the guarantee in Mutual Funds or even Fixed Deposits for that matter? Are the fixed deposit interest rates same today as they were 20 years back? Heck even PPF rates came down from 12% to 8% and is now 8.7%. And if mutual funds have generated good returns for you by the time you retire, you can be sure that your NPS corpus too will have gained nicely if you allocated 50% to equity. Nobody should be so foolish as to put all eggs in one basket like MF or PPF. Its a great thing that a small part of your salary is going to your NPS account. Just a point of note, if you want absolute guaranteed fixed returns for life, then your only option is to deposit lumpsum amount in an immediately annuity product at an early age. Nothing else is guaranteed for life. Awesome article, I am just 23 and want to accumulate loads of money..
Could you suggest me best ways would be really thnakful. I have fixed income and can invest 50,000-1,00,000 a Year. Thanks a lot, would you be able to suggest some mutual fund Plans. a very nice article and as some one pointed out, an eye opener.on that note, i have just started investing in Franklin Templeton Pension Plan.please elt me know if this plan too has same drawbacks. I have a different view on retirement savings. I propose to invest money in MF via SIP. At the end of the year, sell the units (but continue investing in MF) to generate a cash of say 1 lac. Put this 1 lac in 10 yr FD which will give you roughly 2.5 lacs after 10 years. Follow this route every year. Plan this in such a way that after you cross your retirement age (say 60 yrs), FDs will mature every year thereafter (say for next 20 yrs). Of course this is just one way of planning for retirement. True, most of the pension plans in country are more or less a joke. Ideally retirement savings should be tax free but gov wants to extract tax there too. Then we are supposed to buy (forced to buy) annuity from our own money. Why should we? Its my money and let me decide how I want to use it. Its good to accumulate your own corpus and withdraw as per your requirement. Thanks for the article. I will wait for your next article on generating regular income from lumpsum. I hope you will touch aspects related to inflation in that article. do you have data on what is current annuity rates offered by various companies, for a 60 years old, considering option of return of corpus to nominee on death? Just curious to know how much lower they offer compared to market rates of various FDs. Just like any normal Indian, I was not immune to such policies, I have donated my fair share of money to ICICI prudential for a policy that I had. But that is history now – After the ‘Action Month’, I have owed not to make such companies richer by my donations. classes and buy an immediate annuity at retirement. Thank you again for this enlightening review. Hope you’re well. I understand that investing in mutual funds especially via SIP is recommended for retirement planning but my only concern is that the principal amount is not secured in mutual funds. I know mutual funds are subject to market risks but what are the chances of losing all the invested amount accumulated over a couple of years? Equity will never give you 100% security for any amount you invest. But you have to look at the long term chances of losing the money, which is very low. If you look at the equity returns over long term and how much Rs 100 has increased or decreased, you will see from historical data that it has happened only 3/100 or 4/100 times that Rs 100 has gone down below its original amount in 10-15 yrs tenure ! I suggest you read my 1st book 3rd chapter. Once again, a very good eye-opener. You & your team are doing a fabulous job by coming up with such eye-opening articles which most of us small investors are unaware of. A very good article on retirement planning. I have planned to accumulate the corpus through SIPs in mutual funds. 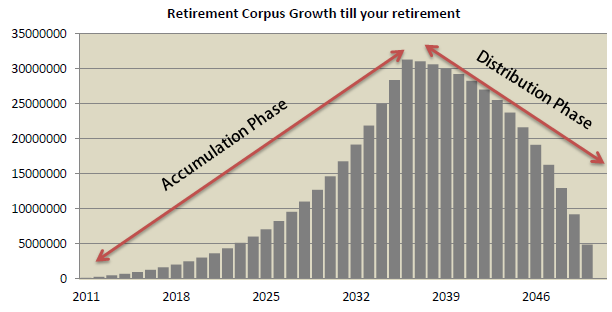 So when plan to retire, how should i invest my corpus ? One more point to note is that the annuity provider in most of the cases is LIC an dthey are using the rates of old decades (96-98)which is not relevant now. Also the mortality rates in annuities used by LIC cater to same period.This also has been the main cause of high cost of annuities. Nice article .. just had a look . Thanks for that, Srikanth, and nice article, Manish. It’s worse now – you get long term govt bonds at about 8.9% which is much higher than the current annuity quote!